Each October, the Department of Labor celebrates “National Disability Employment Awareness Month.” Reflecting a commitment to a robust and competitive American labor force, the 2018 National Disability Employment Awareness Month (NDEAM) theme is “America’s Workforce: Empowering All.” Observed each October, NDEAM celebrates the contributions of workers with disabilities and educates about the value of a workforce inclusive of their skills and talents. To learn about the history of NDEAM since its creation in 1945, visit https://www.dol.gov/featured/ada/timeline/alternative. For NDEAM resources, visit https://www.dol.gov/odep/topics/ndeam/resources.htm. 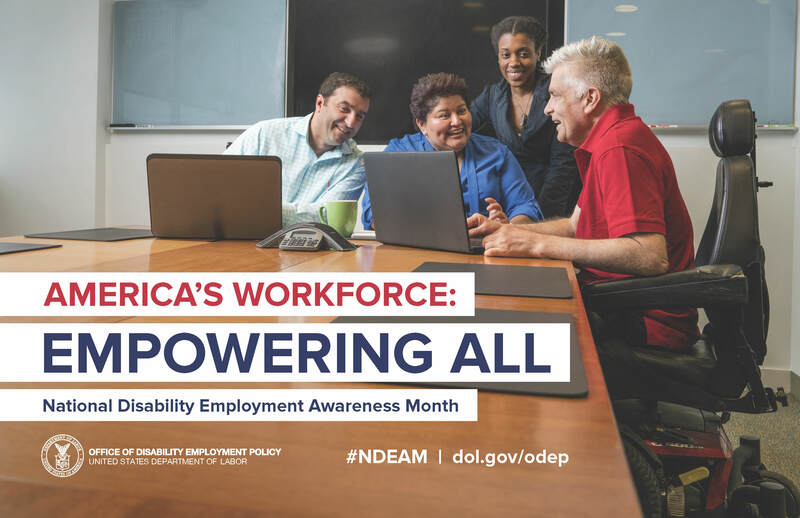 For more information and resources, please visit https://www.dol.gov/odep/topics/ndeam/.